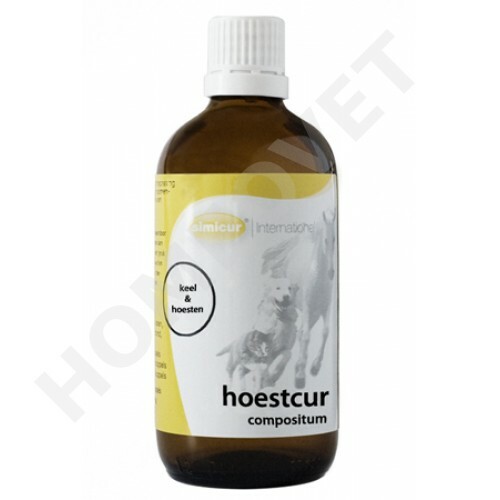 Hustcur is a homeopathic tincture in a 100 ml dropper bottle of SIMICUR for oral use in dogs, cats, horses and ponies. Application: administered to the feed Coughcur ensures for optimal metabolism, resulting in a healthy condition of the mucous membranes of the upper airway . Hustcur leads to increased resistance, inflammation, release of mucus and loss of the cough. Hustcur indication for the treatment of inflamed mucous membranes of the upper respiratory tract (nose and throat), accompanied by cough. Effect: The effect of Hustcur for colds due to the increase of the body's own Abweht, dampen the cough stimulus, an antibacterial effect and dissolve the stubborn mucus. 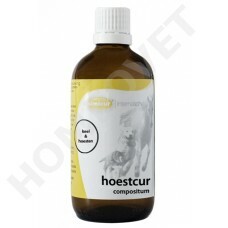 The use of Hustcur leads to a reduction of the duration and the intensity of the cough. This results because of the mucolytic effect of Hustcur, though not to the accumulation of mucus. The antibiotic properties of Allium cepa and Thymus vulgaris ultimately lead to a complete cure.